Are you aware that Indonesia currently ranks number four in East Asia Pacific in Small Medium Enterprise new to market Export Success Stories? And number two in Southeast Asia? Wouldn't you like your company to share in that success ? The world's fourth largest country, with a population of over 237 million. #1 for Twitter user penetration in the world. More 3G subscribers than China. GDP is growing at over 6% annually, and is expected to reach 6.8% this year. 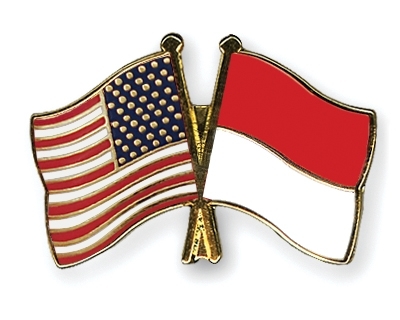 In 2010, U.S. Exports to Indonesia = $6.94 billion. Households with US$5,000 to US$15,000 annual disposable income expected to increase from 36% to 58% of population by 2020. 60 million Indonesians projected to move up into the middle class in the next 10 years. Has by far the largest economy in Southeast Asia. The world's third largest democracy, with a thriving open economy. Isn't this a market your clients ought to consider? CS Indonesia's experienced team has an unparallel ability to convert your clients into Export Success Stories. Why not ask your clients to Consider Indonesia ? It's the right place, and the right time! We look forward to working with you and your team. For an evaluation whether Indonesia is the right market for you, email U.S. Commercial Service Jakarta without delay.